As Nils Landgren puts it: "She has the gospel in her soul, pure gold in her voice and soul in her body, and yet, she is from Sweden of all places!" 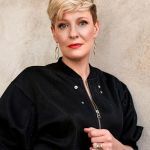 Through her versatile voice and her exceptional band, Ida Sand possesses the rare gift to render the most diverse songs with a sound uniquely her own. 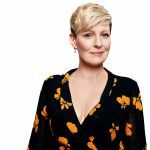 Included in her repertoire you can find songs like "The Weight" from the legendary Robbie Robertson (The Band) in peaceful coexistence with Annie Lenox' "Here Comes the Rain Again" or Jimmie Hendrix' "Manic Depression" But also with her own compositions like "My Biggest Fear she seduces her audience. With this song, orchestrated with only piano and violin she evokes a gentle, melancholic mood. She is a consummate performer who deftly moves through musical styles holding her audience captive till the final note. 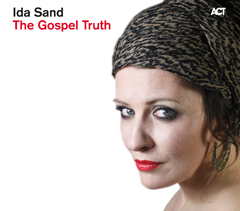 Whilst Ida Sand's second ACT album True Love was to some extent a family affair - an homage to her husband Ola Gustafsson and new born daughter - her third ACT CD "The Gospel Truth", signals a return to her roots and a unique combination of European and American soul. 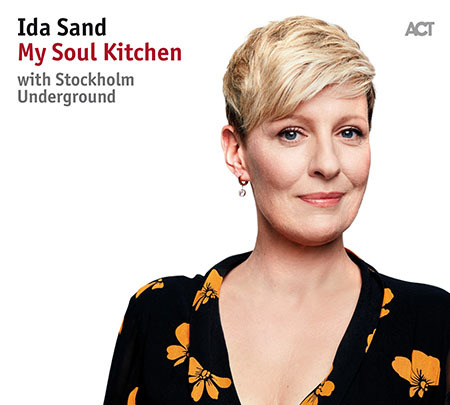 Released two years after True Love, The Gospel Truth presents the Swedish singer following on musically from her 2007 ACT debut, Meet Me Around Midnight", which captivated listeners with a sound which was "distinctively earthy, soaked with the blood of the blues, saturated by gospel, weathered by jazz and infected by soul" (Jazzthing).Ida Sand's career began with the church choir. Her father was a well known Swedish opera singer and her mother is still a church organist. As such, Ida learnt to play not only the cello and piano but also sang in several choirs from the age of eight. It was not only Scandinavian choir music that influenced her but also America's gospel choirs. With the world hit "Oh Happy Day" by the Edwin Hawkins Singers, a gospel craze swept across Sweden in the early seventies which in turn led to gospel queen Mahalia Jackson becoming one of Ida's very earliest influences alongside the Swedish gospel pianist Per-Erik Hallin. Captivated by this music, Ida soon discovered the world of soul and fell in love with its masters, such as Ray Charles and Aretha Franklin. 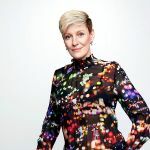 "I grew up with a clear idea of religion," says Ida Sand. "This has changed a bit now that I'm an adult but I still carry the belief with me, deep in my heart." 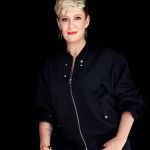 Her latest album, The Gospel Truth, is the musical expression of this sentiment and many of the songs on it have been with the singer for a long time. "For example, I have never sung Nina Simone's I Wish I Knew How It Would Feel to Be Free before but it is one of the songs of my childhood. "However, the album doesn't only feature the soul heroes of her childhood like Sam Cooke, Donnie Hathaway and Stevie Wonder (with a brilliant version of Have a Talk With God). Genuine surprises are also included, such as Madonna's Like A Prayer, John Hiatt's Have A Little Faith and I Wanna Know What Love Is by the band Foreigner, which were part of her teenage years and twenties. "It was a challenge to transfer also these songs from my wilder teenage years to the soul cosmos," explains Sand. "And, of course, I didn't want it to be solely a gospel album which would have been too one-sided. "Vitality, suspense and considerable musical scope are provided not only by Sand's earthy and variable piano playing but also by select guest stars - in particular Nils Landgren who produced the album together with Siggi Loch, and who plays not only the trombone but also the trumpet. As Landgren has also been a member of the famous US band Jazz Crusaders for some time, he was also able to get Joe Sample to join in with his grooving, murmuring playing of the Fender Rhodes, and the great drummer Steve Gadd on A Change Is Gonna Come. Sand's husband, Ola Gustafsson, is also featured on the lap steel guitar as is her friend of many years, woodwind player Magnus Lindgren. A very special track is the magnificent vocal duet with blind singer and guitarist Raul Midón, who is extremely prominent back home in the USA. "During the Christmas tour with Nils, I saw a video of one of his performances and was completely spellbound. Nils knew him and so I ventured to ask Raul if he would like to accompany me on Bobby Scott's "He Ain't Heavy, He's My Brother". 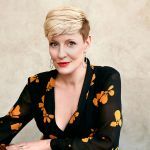 I didn't expect anything which was why I was even happier when it worked out," says Sand.The choir, without which the The Gospel Truth could hardly have been realised, remained as the last building block. "A normal gospel choir seemed too flat," says Sand. "Then Siggi Loch had the idea to simply ask our Swedish colleagues." This was how the ACT Jubilee Singers were born, with Jeanette Köhn, Sharon Dyall, Rigmor Gustafsson and Jessica Pilnäs. This unparalleled combination of voices can be heard on four tracks and goes far beyond the usual description of a just 'backing singers'.